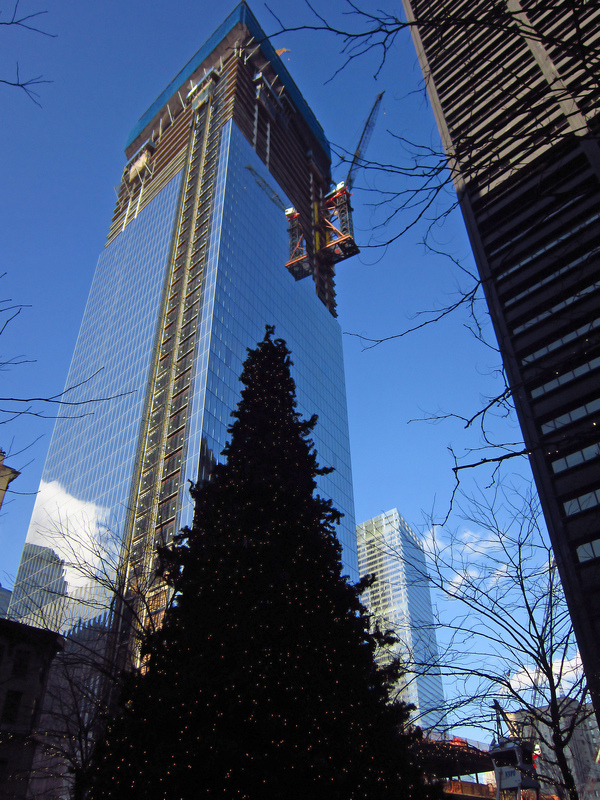 Christmas day was so beautiful and quiet in the city, I took a walk down to Zuccotti Park. I was happy to see all the barriers finally removed from around the Christmas tree (but not the park itself). 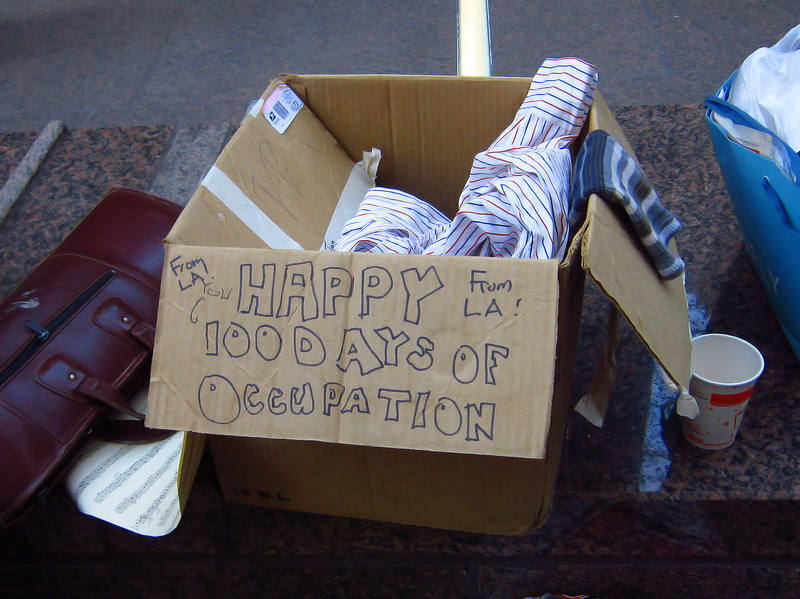 This day also marked the 100th day of OWS protests and it seems someone from LA sent a care package. I met retired Philadelphia Police Captain Raymond Lewis. When asked why he was spending Christmas day in the park, he replied, "Social justice does not take the day off." 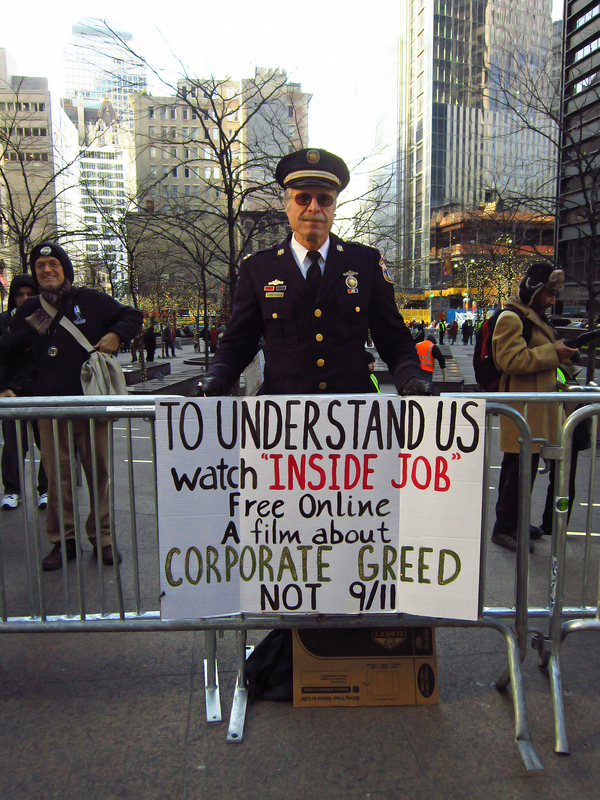 For more information about Captain Lewis and his reasons for joining the OWS movement, check out this interview. Hooray for Captain Lewis! And, as ever, wonderful pics. Thanks, marjorie! Happy new year to you!